Dr. David Gilman Romano is the Nicholas and Athena Karabots Professor of Greek Archaeology, School of Anthropology, University of Arizona. He has been involved in archaeological work in Greece for 40 years and is a specialist in the Ancient Olympic Games, Greek and Roman cities and sanctuaries, ancient surveying, and modern cartographic and survey techniques to reveal and study ancient sites. 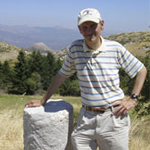 He has directed the Corinth Computer Project since 1988, and he is the Director of the Archaeological Mapping Lab in the School of Anthropology. 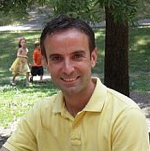 Dr. Romano is the Field Director and Co-Director of the Mt. Lykaion Excavation and Survey Project, Director of the Parrhasian Heritage Park Initiative and Director of the Digital Augustan Rome project. 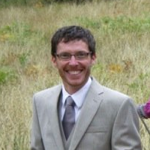 Dr. Nicholas L. Stapp is the Director of Geospatial Research at the Archaeological Mapping Lab at the University of Arizona. Prior to completing his Ph.D. in City and Regional Planning, he earned a Master’s degree in Historic Preservation from the University of Pennsylvania and a Bachelor’s degree in Archaeology from University College London. His research combines elements of urban planning/design, preservation, cultural heritage and archaeology with technological innovation to better understand the complex relationship between historic and modern space and place. Analysis of this relationship has guided the development of new research methodologies and spawned the creation of innovative research tools. Dr. Stapp has applied these approaches on projects in both the European Union and the United States.